Minister of Environmental Protection, Jerusalem and Heritage Ze'ev Elkin (Likud) analyzed his loss in the elections for mayor of Jerusalem, attacked police for the timing of the publication of the recommendations in Case 4000, and estimated that the coalition will hold until the expiration of the draft law amendment. "As a member of the Security Cabinet, I am not prepared to elaborate on the meetings in the cabinet, but anyone who talks about 'minor action' knows nothing and does not understand the threats that the State of Israel has. The operation in the north is not instead of activity that must be carried out against Hamas in Gaza,” Elkin noted. 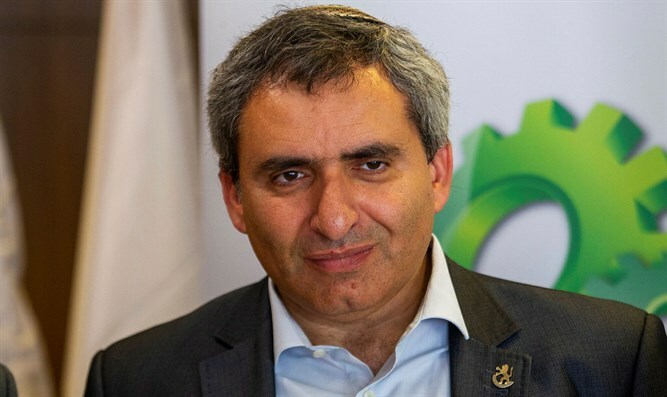 Elkin called the resignation of Liberman from the position of defense minister "a wrong decision and a lack of responsibility.." Elkin sees no problem in Netanyahu maintaining the defense portfolio and is sure that even if Bennett were appointed to the position, Israel's security policy would not change. Regarding the Netanyahu investigation and the recommendations in Case 4000, Minister Elkin said, "I am not in the investigation material. The police's decision to indict Netanyahu is crazy. It should be remembered that many times police recommended and the prosecution decided not to prosecute. " Did police or the commissioner try to eliminate Netanyahu? Where did you go wrong in the Jerusalem election campaign that ended in a loss? "The decision of Agudat Yisrael that they did not go with me and today they think it was a mistake. If they would have supported me, I would be the mayor today. The second thing is that I didn’t pull an ‘anti-Haredi’ card, but I happy about this. I wouldn’t want to be elected mayor as an anti-Haredi candidate. Minister Elkin believes that the coalition will hold out for the next month and a half, but is not optimistic about subsequent months. "I think it is possible to conduct a coalition of at least 61 in the next month and a half. The only mine is the 'draft law,' which I'm not sure we’ll overcome, and not sure how much the prime minister will want to deal with." On President Trump’s “Deal of the Century” peace plan, Elkin said, "I do not know what is in the plan. My red lines are clear [and if crossed] I will not remain in the government: the establishment of a Palestinian state, the division of Jerusalem and the evacuation of settlements in Judea and Samaria."